Lean and Theory of Constraints: An Either/Or Proposition? In a previous post on Lean and Theory of Constraints, I argued that the decision is not an either/or, but rather “and”. In other words, there’s room for both and each can be complementary to each other. In this post, I’ll do my best to describe the fundamentals of The Theory of Constraints. Then, in a next post, I’ll attempt to describe the Fundamentals of Lean Management (Lean Thinking, Lean Enterprise, Lean Manufacturing). 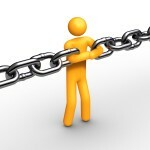 A constraint is anything that limits the system from achieving higher performance relative to its purpose. 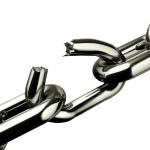 The weakest link in a chain determines the strength of the entire chain. Subordinate everything else to the above decisions. Prevent Inertia – when the system’s constraint is broken, iterate back to step one and start over. What is the goal of the System? How do we measure the purpose of the System? The Company: internal processes, people – not enough resources, capacity, or skill set. The rate of throughput is determined by the system’s constraint. This fundamental fact can help us decide how to treat the constraint. In general, as described in Step One, the constraint will be in the Market, Suppliers, or Internal. If Internal: eliminate waste at the constraint; place inspection steps upstream from the constraint; and other methods to free-up the constraint from non-value activities. If Suppliers: reduce scrap; eliminate or reduce work-in-process (WIP); work with suppliers on both information flow and material flow improvements. If Market: improve quality; improve service; add features that build loyalty and delight. For example, this post shows what a constraint looks like in a fast food operation. In this step, behavior change is the goal; this means organizational restructuring, behavior modeling from the key leadership, as well as broad communication on what, why, and how that describe the changes happening. This step also introduces the idea of a Drum-Buffer-Rope, which is a method that supports Pull, instead of Push. More on this later. I’ve attempted to describe the fundamentals of the Theory of Constraints. This is my partially-best attempt, so if notice that I’ve missed some important aspects, please don’t hesitate to let me know in the comment section. 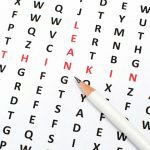 In the next post, I’ll attempt to describe the fundamentals of Lean Thinking (Lean Management). In the section after that, I’ll attempt to compare and contrast Lean with the Theory of Constraints and then present how to reconcile The Theory of Constraints and Lean Thinking and show how they can work harmoniously with each other. Chapter One: The first chapter gets the reader acquainted with Mr. Alex Rogo and his apparent problems with his production plant. This is shown through a confrontation between Mr. Rogo and his boss Mr. Peach, the Division Vice President. The dispute is over an overdue order #41427. Through their conversation it’s learned that Mr. Peach will not settle for anything less than the order being shipped today, and since the plant is neither productive nor profitable, Alex has three months to show an improvement or the plant will be shut down! Chapter Two: This chapter gives insight to Alex’s home life. Since moving back to his hometown six months ago, it seems adjustment isn’t going well for his family. It’s great for Alex, but it’s a big change from the city life that his wife is used to. You also experience Mr. Rogo’s background through his reflections back on his travels to eventually find himself back where he started. “He’s now 38 years old and a crummy plant manager”. By the way, the order #41427 does get shipped, but not very efficiently. All hands in the plant are working on one order with forbidden overtime to boot. Chapter Three: Mr. Peach calls a meeting at headquarters for all plant managers and his staff. At the meeting everybody finds out how bad things are and are given goals to achieve for the next quarter. Through the grapevine Mr. Rogo finds out perhaps why Mr. Peach has been acting so erratic lately, the Division has one year to improve or it’s going to be sold, along with Mr. Peach. Chapter Four: While at this meeting, Alex thinks back on a recent business trip where he ran into an old physics professor, Jonah, at the airport. Jonah puzzles Alex with how well he knows how Alex’s plant is doing. Jonah has no knowledge of where Alex is employed. Johan predicts the problems of high inventories and not meeting shipping dates. He also states that there is only one goal for all companies, and anything that brings you closer to achieving it is productive and all other things are not productive. Chapter Five: Alex decides to leave the meeting at the break. He has no particular place he would like to go; he just knows this meeting isn’t for him, not today. He needs to understand what the “goal” is. After a pizza and a six pack of beer it hits him, money. The “goal” is to make money and anything that brings us closer to it is productive and anything that doesn’t isn’t. Chapter Six: Mr. Rogo sits down with one of his accountants and together they define what is needed in terms of achieving the goal. Net profit needs to increase along with simultaneously increasing return on investment and cash flow. Now all that is needed is to put his specific operations in those terms. Chapter Seven: Alex makes the decision to stay with the company for the last three months and try to make a change. Then he decides he needs to find Jonah. Chapter Eight: Alex finally speaks to Jonah. He is given three terms that will help him run his plant, throughput, inventory, and operational expense. Jonah states that everything in the plant can be classified under these three terms. “Throughput is the rate at which the system generates money through sales.” “Inventory is all the money that the system has invested in purchasing things which it intends to sell.” “Operational expense is all the money the system spends in order to turn inventory into throughput.” Alex needs more explanation. Chapter Nine: Alex fresh off his talk with Jonah gets word that the head of the company wants to come down for a photo opportunity with one of Alex’s robots. This gets Alex thinking of the efficiency of these robots. With the help of the accountant, inventory control woman, and the production manager, Alex discovers the robots increased costs, operational expenses, and therefore were less productive. Implementing the robots increased costs by not reducing others, like direct labor. The labor was shifted to other parts of the plant. Chapter Ten: After explaining everything, Alex and his staff (Bob from production, Lou from accounting and Stacey from inventory control) hammered out the meaning of throughput, inventory and operational expense until satisfied. Lou, states the relationships as follows. “Throughput is money coming in. Inventory is the money currently inside the system. And operational expense is the money we have to pay out to make throughput happen.” Bob is skeptical that everything can be accounted for with three measurements. Lou explains that tooling, machines, the building, the whole plant are all inventory. The whole plant is an investment that can be sold. Stacey says, “So investment is the same thing as inventory.” Then they decide that something drastic is needed to be done with the machines. But how can they do that without lowering efficiencies? Another call to Jonah is placed and Alex is off to New York that night. Chapter Eleven: The meeting with Jonah is brief. Alex tells Jonah of the problems at the plant and the three months in which to fix them. Jonah says they can be fixed in that time and then they go over the problems the plant has. First, Jonah tells Alex to forget about the robots. He also tells Alex that “A plant in which everyone is working all the time is very inefficient.” Jonah suggest that Alex question how he is managing the capacity in the plant and consider the concept of a balanced plant. According to Jonah, this “is a plant where the capacity of each and every resource is balanced exactly with demand from the market.” Alex thinks a balanced plant is a good idea. Jonah says no, “the closer you come to a balanced plant, the closer you are to bankruptcy.” Then Jonah leaves Alex with another riddle, what does the combination of “dependent events” and “statistical fluctuations” have to do with your plant? Both of those seem harmless and should work themselves out down the production line. Chapter Twelve: This short chapter tries to capture the essence of the problems the job is causing at home with the extra workload. The marriage is very strained because of the devotion Alex needs to give to the plant. Chapter Thirteen: Stuck for the weekend as troop master, Alex discovers the importance of “dependent events” in relation to “statistical fluctuations”. Through the analogy between a single file hike through the wilderness and a manufacturing plant, Alex sees that there are normally limits to making up the downside of the fluctuations with the following “dependent events”. Even if there were no limits, the last event must make up for all the others for all of them to average out. Chapter Fourteen: Finally, through the dice game or match bowl experiment, it becomes clear that with a balanced plant and because of “statistical fluctuations” and “dependent events” throughput goes down and inventory along with operating expenses goes up. A balanced plant is not the answer. Chapter Fifteen: Fully understanding the “dependent events”, Alex puts the slowest kid in the front of the hike and he relieves him of extra weight he has been carrying in his backpack. This balances the fluctuations and increases the kid’s productivity, which increased the throughput of the team. Chapter Sixteen: Well, after the camping trip the boys arrive home to find the mother has disappeared. All the stress of his job was too much for her so she left. Now the kids and the job are all Alex’s responsibility. This was supposed to be a weekend for Alex and his wife, but when the hike came up it seemed to be the last straw for her. Chapter Seventeen: Alex tries to portray his new revelation to his team at the plant. Nobody seems interested. But the walk in the woods becomes apparent when it is put to the test for an overdue order in the plant. Now even the production supervisor agrees. Now what? Chapter Eighteen: In this chapter Jonah introduces Alex to the concept of bottlenecks and non-bottlenecks. Jonah defines these terms as follows. “A bottleneck is any resource whose capacity is equal to or less than the demand placed upon it. “A non-bottleneck is any resource whose capacity is greater than the demand placed on it.” Jonah explains that Alex should not try to balance capacity with demand, but instead balance the flow of product through the plant. Later, Alex and his team recognize the bottlenecks, the areas where capacity doesn’t equal demand, like the slow kid Herbie on the hike. With this discovery goes the ideas related to reorganizing the plant like Alex did with the hike. Production is a process and it cannot be moved around so easily. Many processes rely on the previous one to be able to complete the next. Alex would need more machines, which takes more capital, and division is not going to go for that. Chapter Nineteen: Well, Jonah makes a visit to the plant. Jonah tells Alex that a plant without bottlenecks would have enormous excess capacity. Every plant should have bottlenecks. Alex is confused. What is needed is to increase the capacity of the plant? The answer is more capacity at the bottlenecks. More machines to do the bottleneck operations might help, but how about making them run more effectively. Jonah tells them that they have hidden capacity because some of their thinking is incorrect. Some ways to increase capacity at the bottlenecks are not to have any down time within the bottlenecks, make sure they are only working on quality products so not to waste time, and relieve the workload by farming some work out to vendors. Jonah wants to know how much it cost when the bottlenecks (X and heat treat) machines are down. Lou says $32 per hour for the X machine and $21 per hour for heat treat. How much when the whole plant is down? Around $1.6 million. How many hours are available per month? About 585. After a calculation, Jonah explains that when the bottlenecks are down for an hour, the true cost is around $2,735, the cost of the entire system. Every minute of downtime at a bottleneck translates into thousands of dollars of loss throughput, because without the parts from the bottleneck, you can’t sell the product. Therefore, you cannot generate throughput. Chapter Twenty: Alex organizes the bottlenecks to work on only overdue orders from the most overdue to the least. He then finds his wife. She is at her parent’s house. Through their conversation it is learned that she still needs to be away from everybody, even the kids. Chapter Twenty One: The crew works out some of the details for keeping the bottlenecks constantly busy. In the process they find that they need another system to inform the workers what materials have priority at non-bottlenecks. Red and green tags are the answer. Red for bottleneck parts to be worked on first as to not hold up the bottleneck machine, and green for the non-bottleneck parts. That concludes another week. The true test will be next week. Chapter Twenty Two: Great, twelve orders were shipped. Alex is pleased, but he definitely needs more. He puts his production manager on it. His production manager rounds up some old machines to complement what one of the bottlenecks does. Things are looking up. Chapter Twenty Three: They are becoming more and more efficient, but lag time arouse with the two bottlenecks because of workers being loaned out to other areas and not being at the bottlenecks when needed to process another order. It seems there was nothing to do while waiting for the bottleneck machine to finish the batch. Therefore, in keeping with the notion that everybody needs to stay busy, workers were at other areas between batches. Alex decides to dedicate a foreman at each location all the time. Then one of those dedicated foreman, the night foreman, discovers a way to process more parts by mixing and matching orders by priority, increasing efficiency by ten percent. Finally, one process being sent through a bottleneck could be accomplished through another older way and therefore free up time on the bottleneck. Chapter Twenty Four: Now that the new priority system is in place for all parts going through the bottlenecks, inventory is decreasing. That’s a good thing right? But lower inventory revealed more bottlenecks. This intrigues Jonah so he’s coming to take a look. Chapter Twenty Five: “There aren’t any new bottlenecks”, says Jonah. What actually has happened is a result of some old thinking. Working non-bottlenecks to maximum capacity on bottleneck parts has caused the problem. All parts are stacked up in front of the bottlenecks and others are awaiting non-bottleneck parts for final assembly. There needs to be balance. The red and green tags need to be modified. It seems as if the bottlenecks will again control the flow, by only sending them exactly what they need and when they need it. Chapter Twenty Six: Ralf, the computer wiz, says he can come up with a schedule for bottleneck parts and when they should be released. This will alleviate any excess inventory in front of the bottlenecks, but what about the non-bottlenecks? Jonah says with the same data out of the bottlenecks to final assembly, you should be able to predict non-bottleneck parts as well. This will make some time, but there are enough parts in front of the bottlenecks to stay busy for a month. Chapter Twenty Seven: There is another corporate meeting. Mr. Peach doesn’t praise Alex like Alex thinks he should. Alex decides to talk with him in private. Mr. Peach agrees to keep the plant open if Alex gives him a fifteen percent improvement next month. That will be hard because that relies heavily on demand from the marketplace. Chapter Twenty Eight: Fifteen Percent!! Fifteen Percent!! Just then Jonah called to let Alex know that he will not be available to speak with in the next few weeks. Alex informs him of the new problem of more inventories and less throughput. Jonah suggests reducing batch sizes by half. Of course, this will take some doing with vendors, but if it can be done, nearly all costs are cut in half. Also, they get quicker response times and less lead times for orders. Sounds good. Chapter Twenty Nine: Alex is propositioned with a test. They can greatly increase sales, current and future, if they can ship a thousand products in two weeks. Impossible without committing the plant to nothing but the new order? Wrong! How about smaller batch sizes. Cut them in half again. Then promise to ship 250 each week for four weeks starting in two weeks. The customer loved it. Chapter Thirty: Seventeen percent!! That’s great, but it’s not derived from the old cost accounting model. The auditors sent down to the plant from Division find just 12.8% improvement. Most of it accounts from the new order. Which by the way, the owner of the company that placed the order came down personally to shake everybody’s hand in the plant and to give a contract to them for not a thousand parts but ten thousand. Anyway, tomorrow is the day of reckoning at division. Chapter Thirty One: Well the meeting at Division started out rough. Alex thought he would be meeting with Mr. Peach and other top executives. Instead, he met with their underlings. He decides to try and convince them it doesn’t work. Just before leaving he decides to see Mr. Peach. It’s a good thing he did, because he just got promoted to Mr. Peach’s position. Now Alex has to manage three plants as the whole division. He calls Jonah desperately and asks for help. Jonah declines until he has specific questions. Chapter Thirty Two: Alex has a nice dinner with his wife. Through the veal parmesan and cheese cake it is decided that Alex should ask Jonah how he can get other people to understand these techniques that his team has discovered without being condescending. Chapter Thirty Three: Now is the time to assemble Alex’s team for Division. Surprisingly the accountant with two years to retirement is on board, but the production manager isn’t. He wants to be plant manager to continue their efforts. Everything is totally into place at the plant but more is needed for division. Chapter Thirty Four: Alex is firmly engrossed with the problems of taking over the division. With advice from his wife he decides to enlist the help of his team at the plant. Every afternoon they will meet to solve the problem. After the first day it is obvious , they will need them all. Chapter Thirty Five: The second day they are led in a discussion about the periodic table of elements, and how the scientists actually got a table of any sort. Maybe that is how they will solve the massive problems of division, by understanding how the scientists started with nothing and achieved order. A way to define them by their intensive order is needed. Chapter Thirty Six: The team finally comes up with the process: Step one – identify the system’s bottlenecks; Step two- decide how to exploit those bottlenecks; Step three- subordinate everything else to step two decisions; Step four- evaluate the systems bottlenecks; Step five- if, in a previous step, a bottleneck has been broken, go to step one. It seems so simple, just different. 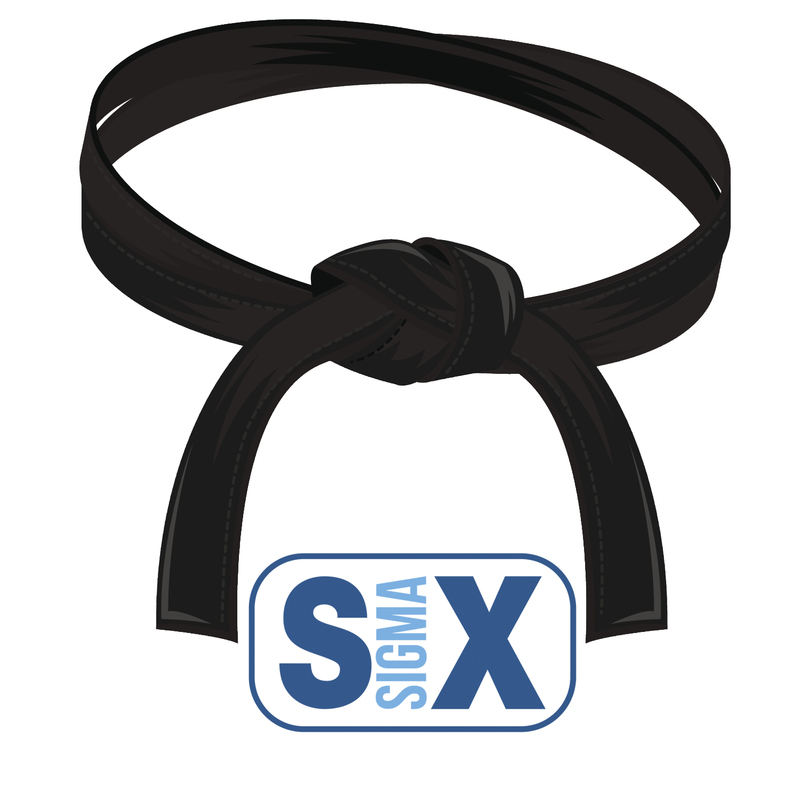 Chapter Thirty Seven: The team decides to revise the steps: Step one – identify the systems constraints; Step two – decide how to exploit the systems constraints; Step three – subordinate everything else to step two decisions; Step four – evaluate the systems constraints; Step five- warning!!! If in the previous steps a constraint has been broken, go back to step one, but don’t allow inertia to cause a system constraint. It also has been discovered that they have been using the bottlenecks to produce fictitious orders in an effort to keep the bottlenecks busy. That will free up twenty percent capacity, which translates in to market share. Chapter Thirty Eight: Talking with the head of sales. Alex finds out that there is a market order to fill the capacity. It’s in Europe, so selling for less there will not affect domestic clients. If it can be done, will open a whole new market. Then Alex ponders Jonah’s question, to determine what management techniques should be utilized. Alex determines how a physicist approaches a problem. Maybe this will lead to an answer. Chapter Thirty Nine: Alex experiences a problem at the plant. It seems all the new orders have created new bottlenecks. After analyzing the problem, they agreed to increase inventory in front of the bottlenecks an tell sales to not promise new order deliveries for four weeks, twice as much as before. 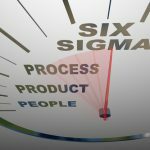 This will hurt the new relationship between sales and production, but it is needed. Production is an ongoing process of improvement, and when new problems arise they need to be dealt with accordingly. Chapter Forty: Finally, struggling with the answer to Jonah’s question, Alex comes up with some questions on his own: What to change? What to change to? How to cause the change? Answering these questions are the keys to management, and the skills needed to answer them are the keys to a good manager and ultimately the answer to Jonah’s question. Lean and Theory of Constraints – either/or? 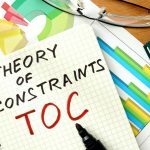 Great summarization of the Key Points of Theory of Constraints (TOC). I have found the logic, analytics and methods of TOC, to have broad applicability to generating more revenue and profit in existing businesses. Nice summary of TOC Pete. 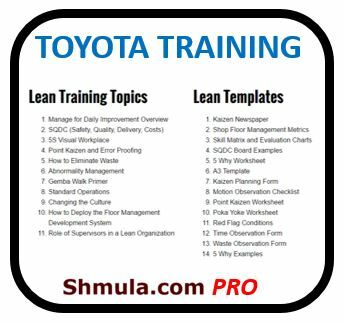 I am looking forward to your take on Lean Management. I love how you put it down in 5 guiding steps! I think 26 years past its introduction, TOC is still on the rise. Would you mind if I put this post in a PowerPoint form (with full credit to you, of course)?